It’s Not About Having a Website Anymore! Think you should have a website? We’ve got news for you. That’s a very late-nineties thing to think. Back around the turn of the century (2000) having a website labeled a business as pretty trendy, even if it didn’t generate much business. Businesses were struggling to find ways to make money online. And it wasn’t easy, evidenced by the dot-com crash of 2000-2002. Over time, some folks actually made some money online. But the real discovery was that online was just another channel, another venue that customers would use to buy or to learn about what they wanted to buy. And savvy marketers played right into the desires of customers, providing information and value for those who wanted to buy online. What’s that crazy looking image on this page? It’s a QR Code. It means “Quick Response Code,” and most smartphones can read them. You see them showing up in ads, catalogs, business cards, even billboards. Real estate agents are putting them on signs in front of homes. 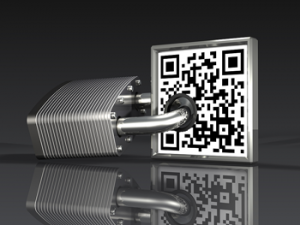 Is the QR Code the key to the new technology? Not exactly. But the QR Code demonstrates how fast things change. 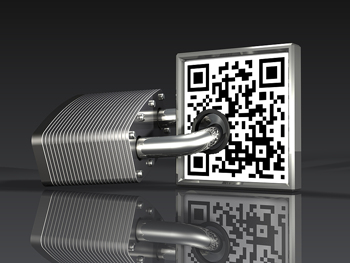 Are you using QR codes to make it easier for your customers to do business with you? And QR Codes are only part of the new equation. Is it no longer true that a website is important? It’s still true, but most marketers have been sleeping the last eight to ten years and missed the rest of the technology revolution! Television has changed. Hundreds of cable channels dilute advertising efforts. Many channels carry no ads. And subscription TV delivers movies and features without commercials when the viewer wants them. Radio? Satellite radio delivers clearer music, better talent, and, mostly, without commercials. Newspapers? They’re going broke fast as subscriptions fall and ad revenues dry up. What are people using today to find the businesses where they want to do business? Wouldn’t it be nice if someone would just come up with a checklist to make it easy to advertise and promote in this new economy? We’ve done just that. We could list hundreds of things. But we want to give you a short, workable list to bring your business up to snuff. As you look at this list, keep in mind the marketing axiom that says you want to bring in new customers and you want to bring back existing customers again and more often. In fact, building business with existing customers is the most profitable marketing you can do. You do have an email list, right? And a texting list, right? So you can communicate regularly with customers who are eager for information and special offers so they can do more business with you. And you do send to those lists regularly. Right? Not everything on this list will apply to you, but there’s good news. So far, most of this is pretty inexpensive. The technology is available. You don’t have to invent it or get too fancy. Your competition probably doesn’t understand it (yet), especially if you’re a local marketer. You can get a lot of mileage out of your marketing and ad budgets. We can show you how.